Everyone knows about Kelly Pavlik's storybook rise to Middleweight Champion of the World, about how a humble kid whose work-ethic and confidence in both his own abilities, and in his trainer and father, catapulted him to the heights of one of the most illustrious divisions in the sport. Kelly got his shot at a piece of the title in late 2007 against a then-undefeated Jermain "Bad Intentions" Taylor, whose resume was easily the better of the two fighters. The doubters in attendance that night were many, including the great Emanuel Steward, who thought Kelly's one-two power would not be enough to handle his fighter's ring generalship. In the second round, it looked like Manny's hunch may have been right, and that all of those Youngstown fans who had made the long trek to Boardwalk City were about to be treated to a Cooney/Holmes-like destruction of a yet another "great white hope." Pavlik literally held on for dear life, and thanks to some savvy reffing, he managed to stay alive long enough to put Taylor to sleep in the seventh, handing the reigning champion his first in what would soon be a string of knockouts. The local boy had made good and Kelly proved a gracious champion. He honored his rematch clause with Taylor and managed to keep his belt. He then meted out a beatdown of Cotto/Gomez-like proportions in his mandatory defense against no-hoper Gary Lockett, before stepping up to a catch-weight fight against one of the all-time greats, who would give the Ghost all he could bargain for and then some. The reasons behind Kelly's decision to fight Bernard Hopkins are as varied as the excuses handed out after his first (and worst) loss. Some say that Kelly allowed himself to be lured out of his comfort zone in order to make the big bucks against what his camp thought of as a has-been with a marquee name. Others took it at face value; that Pavlik wanted to challenge himself in deeper waters, both in terms of weight and in elusive opposition. Whatever the case, Hopkins silenced his critics and danced circles around Pavlik, all without his patented dirty tricks or any pre-fight trash talking. It was as if Hopkins could afford to give Pavlik his respect before and after the fight, as long as he could strip Kelly down both mentally and physically inside of the ring. Pavlik, true to dignified form, offered no excuses after the fight and told HBO commentator Larry Merchant that he was ready to go back to the drawing board. He returned home to his belt and his natural weight, where he put down one inauspicious opponent before following up with a win against an 11-1 underdog. Neither of these fights did anything to erase the memory of Hopkins beating Pavlik to a bloody pulp, but Kelly was being honest in saying that he deserved no flak for taking his mandatories. A fickle boxing public could be forgiven for forgetting that Joe Louis had a record number of defenses against what he himself called "The Bum of the Month Club." Pavlik then took on a live (and deadly) challenge in Sergio Gabriel Martinez. Fresh off a narrow loss to Paul "The Punisher" Williams, Martinez was a rising star who had paid a decade's plus worth of dues and was ready to earn his crown. The action was back and forth, and Kelly won more than a few rounds from both press row and officiating judges. He managed to secure a flash knockdown against Martinez in the middle rounds, but it wasn't enough to undo the damage Martinez had done. After the Martinez loss, "El Maravilla" was given an ultimatum: to either keep his middleweight crown or go back down to 154. He chose the latter option, and promptly knocked out "the most dangerous man in boxing," Paul Williams, well-inside the distance. Comparing Pavlik's loss to Martinez against the concussion that Martinez laid on Williams, one has to give Pavlik credit for remaining game throughout the fight that cost him his belt. Once again, he made no excuses and asked for no sympathy. Despite being a great ambassador for the sport, a quick scan through the archives of most boxing forums and websites shows that many or most fans have turned on Kelly Pavlik, a man who earlier, some were beginning to mythologize as if he were Rocky Balboa. Does Pavlik deserve the harsh criticism? Was he a fly-by-night paper tiger? If the job of a former champ is to silence critics with his fists, it must be said that Pavlik had been falling down on the job. Despite saying that 160 was for him after his catchweight loss to Bernard Hopkins, Team Pavlik announced that they would be stepping up to 168 to make some noise at Super Middleweight. One has to wonder at the wisdom of this decision. Ever since Joe Calzaghe retired, Super Middleweight has been the "it" division, with a round-robin tournament between six of the best speicmens in the league, all competing on "Showtime," a network that might not be receptive to letting Pavlik sub in since he has stated on record, "Those guys are fighting for peanuts. They're going to burn their whole career and for what? Nobody watches Showtime." Besides that, if Kelly's goal is to capture glory at 168, and he can't get into the Super Six, where is he going to go? Lucian Bute? A man who knocked out both Librado Andrade and Edison Miranda in less than ten rounds combined? If Pavlik wants to commit suicide that badly, he might as well put on fifty pounds and face either Wladimir or Vitali Klitschko. The last anyone heard from the Ghost, he was slated to fight on the undercard of Pacquiao-Margarito. It might have been humbling for a once-headlining champion to play second fiddle, but the road back to the top is long, and what better way to announce your return than with an impressive knockout, in Cowboys Stadium no less, in front of thousands of adoring fans? Pavlik cited a rib injury and pulled out of that fight. Some began to question the legitimacy of the injury, a little bit louder than when Pavlik had cited a staph infection on his hand, which slated opponent Paul Williams said looked like little more than "wax." So where is Pavlik now? The last anyone heard he was in the Betty Ford clinic, enduring his second treatment program for an alleged problem with alcohol. 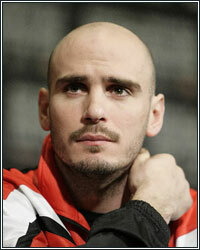 Pavlik is certainly not the first boxer with a substance abuse problem, and he won't be the last. But even his family and staff have suggested that this may be the end of the road. And if it is, ultimately Kelly has nothing to be ashamed of. Much like Ricky Hatton, he won all of his fights until he fought the very best. Naturally, that means that he was very good. He became the champion in one of Boxing's original divisions before the age of thirty, and he did it, as Bernard Hopkins said, holding up his hands, "with these."